Hey everyone! 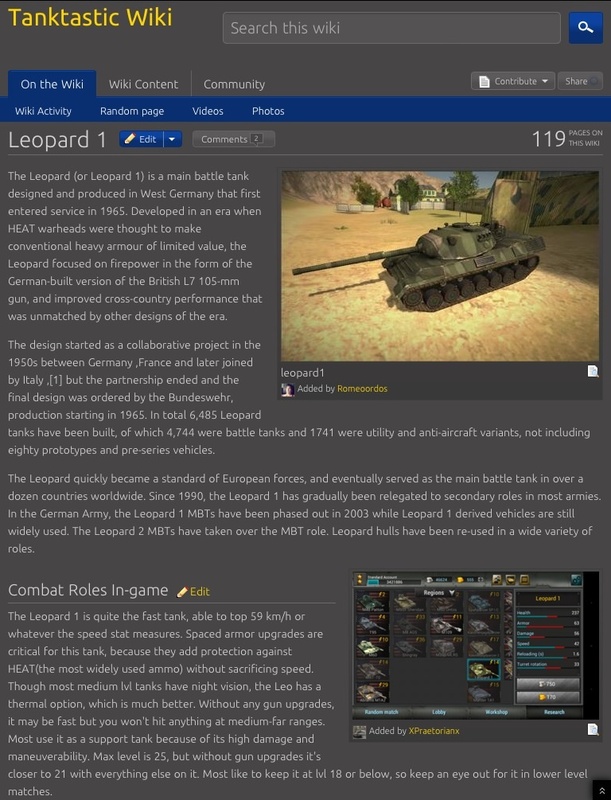 I've recently done a lot of editing for the Wiki, and would like to establish some guidelines so each tank info page is consistent and informative. 2. Combat Roles: describe what the tank is best used for. This is not opinions, just observations and wisdoms based on stats and play-styles. 3. Stats: praetorian has been adding stats for each tank, leave these at the bottom and don't change them. "Those who use chemicals for warfare are not only declareing war on another but on the entire Human race." See, we need other people to write articles for tanks too, because I'm not rich and can't test them all out. I edited articles for most of the tanks I own and have experience with. You have no idea what's coming..
Lol I've been correcting a lot of little mistakes. "Never hate your enemies, it affects your judgement"